In the mid-2000’s, the nebulous genre known as indie-rock was at the height of its popularity. With the exception of Arcade Fire, Grizzly Bear were probably the biggest band in this scene. I find it hard to imagine them courting the mainstream the way Arcade Fire has though. They probably won’t be winning any Grammy’s any time soon. 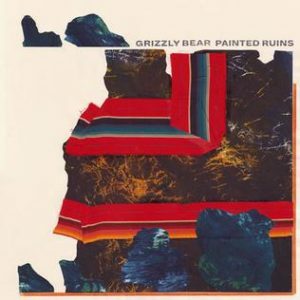 The thing about Grizzly Bear though is that they’ve always been a pop band, as much as any other. With super catchy singles like “Knife” and “Two Weeks,” it’s a wonder they’ve never truly cut through to the mainstream. Their fifth album, Painted Ruins finds them continuing to do what they do best, crafting gorgeous songs full of lush arrangements, jazzy drumming, and expert harmonies. It opens with a short and sweet little intro song called “Wasted Acres,” that starts with Daniel Rossen singing over a bed of strings, then gives over to the insistent, bass-driven “Mourning Sound.” Part sixties psychedelia, part seventies power pop, part shoegaze, “Losing All Sense” is a pop gem that’d be hard to place in time if you didn’t know better, and if the production wasn’t so pristine. “Aquarian” is completely of its time however. What could have been a painfully gorgeous ballad instead becomes a mind-bending synth-prog workout, complete with a drum part that must be hell to transcribe, and it’s still painfully gorgeous. It’s songs like this one that make Grizzly Bear heirs to the Flaming Lips brand of orchestrated, smart people’s pop-rock. There are no songs on Painted Ruins that I see becoming breakout hits but as a full piece of work the album is mesmerizing. You can close your eyes and relax to it or listen to it on headphones and get lost in its dense arrangements. This is the kind of music Brian Wilson would be making if he got his start in the early 2000s. They deserve all the success in the world, but if Grizzly Bear don’t manage to break into the mainstream, I’m sure all their fans will be happy to keep them as our little indie band.